A usual this spring, we woke up to a cloudy day with rain threatening on the morning of June 18. And as usual, it cleared off somewhat by late afternoon. 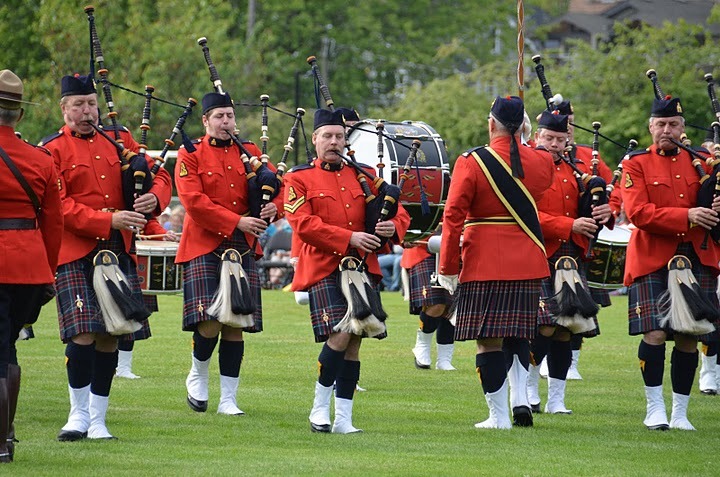 As the RCMP E. Division Pipe Band marched onto the field at Ambleside Park in West Vancouver on Saturday, however, the sun was finally out. The crowd was large and appreciative of the pipe bands which showed up to perform for the West Vancouver Fire Fighters Charitable Society. 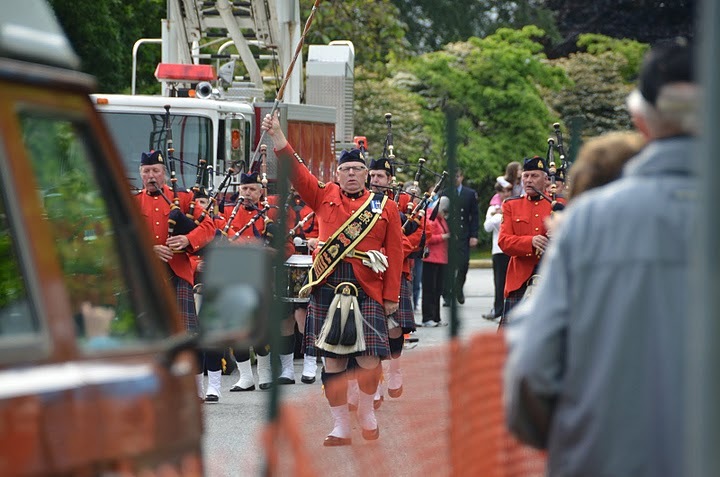 Along with the RCMP E. Division Pipe Band, those bands included JP Fell Pipe Band, the Seaforth Highlanders Regimental Pipes and Drums, the West Vancouver Youth Band, Greighlan Crossing Pipe Band and the Dowco Triumph Street Pipe Band. participating. This is the middle of the competition season and for Greighlan Crossing and Triumph Street to take the time and provide entertainment, it says a lot about these bands. Speaking with DTSPB PM Dave Hilder and he mentioned this was an opportunity for the band to give back to the community. I believe I also heard he cancelled Sunday practice, so having a Saturday night to spend with other musicians while enjoying the hospitality of the West Van fire fighters no doubt made for a great late evening. I had bedtime stories on my late night dance card. Maybe next year. Many thanks to the West Van Fire Fighters volunteers who did a great job taking care of the bands, friends and families and to the organizers for a well run, fun event.